Whether that supposed mentality is a relic of Australia’s convict history — a time when keeping your head down rather than differentiating yourself or promoting change was probably a survival tactic — or owes its origins to some other factor, it’s a fascinating part of the Australian psyche. My question is what are the potential implications for content marketers in the land down under? Before I speculate about the possible answer to that question, let me be clear about one point: Content marketing is booming in Australia right now. Companies are hiring content marketers left and right and devoting significant budgets to developing content marketing programs. Agencies once traditionally focused on PR are evolving into content marketing shops to meet their clients’ changing needs, and freelance consultants are in high demand. Simply put, it’s a great time to be in this space. Still, I can’t help but wonder if content marketers have a few hurdles to overcome here that they wouldn’t in the United States. Let me explain what I mean. In my experience, one of the keys to building a successful content marketing program is personifying your company with people and elevating those people to be thought leaders within your organization. That entails not only building your company’s brand, but also actively encouraging your employees to build their personal brand — an arrangement that typically benefits both the employee and the company. And yet encouraging Australian’s to build their personal brand seems as though it’s at odds with the national mentality. After all, how can you get individuals in a nation that suffers from Tall Poppy Syndrome to do things like build up communities of fans and followers, actively push out their own content, or position themselves as industry experts? It appears that it’s a challenge enough just getting some Australians to utilize social media, a pillar most people use when building their brand. As of September 2013, for instance, only 3.4 million Australians (less than 15 percent of the country’s population) were on LinkedIn versus nearly 85 million Americans (approximately 27 percent of the US population). Could Tall Poppy Syndrome be the reason why Australians are dramatically slower to adopt such a useful platform for individuals to market themselves? There certainly are plenty of Australians building big brands and lots of great work being done here in content marketing. 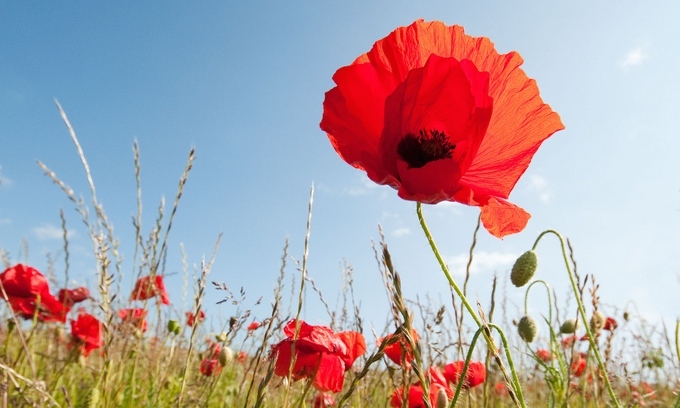 My point is simply that in a country full of poppies, content marketers may have a challenging time finding individuals who are ready and willing to rise above the rest, which in my view is often essential for successful content marketing. We are a group of volunteers and syarting a new scheme in our community. tssk and our whole group will probably be grateful to you.